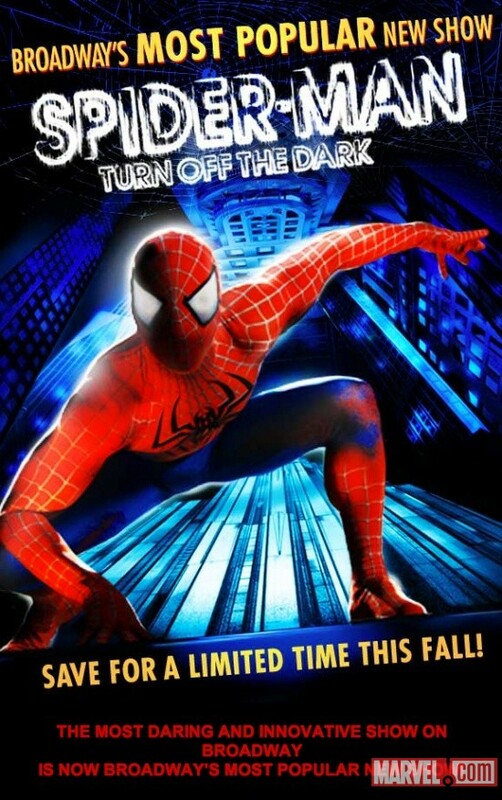 'SPIDERMAN TURN OFF THE DARK' - HOW WELL DOES IT PLAY FOR COMIC BOOK FANS? Unless you’ve been living under a rock for the last 20 years or so, you’ve heard the name Peter Parker, and the only name that could possibly come out of your mouth in response to hearing that name is Spider-Man. Whether you’re a fan of the comic series or you were dragged to one of the films in the Spider-Man franchise against your will, everyone knows the fateful tale of Peter Parker—but how does the story play out as a Broadway musical? Apparently that depends on who you talk to, but people continue to purchase Broadway tickets to see the musical "Spider-Man: Turn off the Dark," a show that’s been a part of the Broadway musical scene since June 2011. 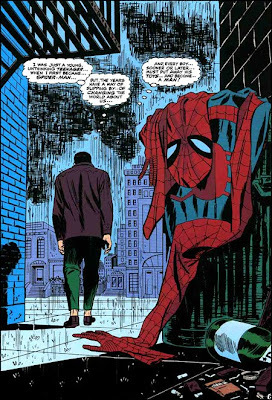 But the question for devoted fans of the superhero is: Does this treatment of their beloved webslinger capture the true essence of the comic, or is this just another poor attempt to cash in on its popularity? The purists who have to have everything just so may leave the Foxwoods Theater a little disappointed, but not by a lot. The musical follows the basic story line of the comics as well as the movie, so you get to see the fateful moment when Peter Parker is bitten by a radioactive spider and eventually discovers that he’s been blessed/cursed with the abilities of a spider. Many of the characters from the comics are on hand in the musical. Peter’s love interest Mary Jane Watson, school bully and Spider-Man supporter Flash Thompson, Aunt May and Uncle Ben, J.Jonah Jameson/owner and publisher of The Daily Bugle and Norman Osborn, the owner of Oscorp. On Broadway as in the popular first "Spider-Man" film, Norman Osborn experiments on himself and becomes the Green Goblin, and eventually has a final encounter with his nemesis Spiderman. There are a few deviations from the original material. There's no mention of Gwen Stacey, Peter’s first love interest, or of Osborn creating a gang of villains called The Sinister Six. The real attraction of seeing the webhead in a Broadway production is the chance to be a part of Peter’s story in a live setting. The musical features songs written by rock icons Bono and The Edge from the band U2, and the production also boasts some of the most difficult aerial battle sequences ever done in a Broadway production. While reviews of the musical range from “excellent” to “hated it,” one thing’s for sure: Even after two successful years on Broadway, fans and critics alike still haven’t been able to come up with a description that’s been able to stick. It's been termed a rock musical, pop-up pop-art opera and a rock-and-roll circus drama. Maybe the best description is “comic book rock opera circus,” or maybe it’s all of these things rolled up into one outrageous fanboy experience.